Growing up in a small town (Caruthersville, MO) you can’t help to know who some of the best bakers are. Of course, our mother was a great baker but everyone knew that Mrs. Johnson’s (also know as Froni short for Veronica) pies and cakes were the best. If you wanted one of her delicious desserts, all you had to do was give her a call and place an order. She was known for her fresh coconut cake, from scratch angel food cake, Angel Pie (meringue only, no crust) and also her Angel Food Pie was a favorite with many of her 11 children. Her daughter, Aggie, told me that some of her siblings wanted peaches, some wanted fresh strawberries and another brother wanted no fruit at all for this Angel food pie. I think her original recipe for Angel food Pie was made with Peaches. 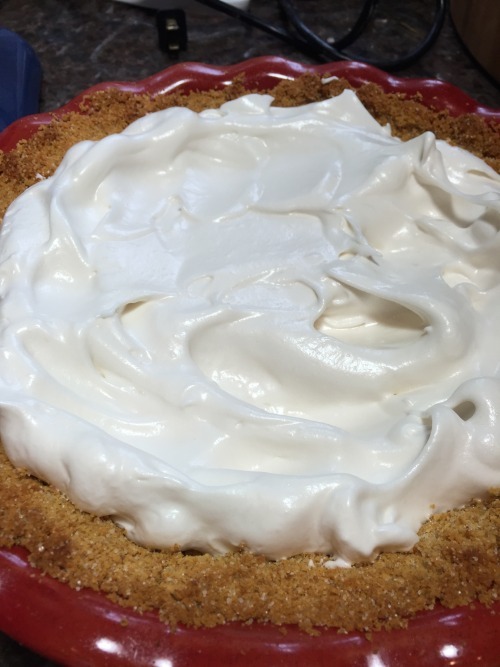 I’m sure when my sister and I first started making this pie she got the recipe from Mrs. Johnson because she and her husband use to go play pinochle at the Johnson’s house and I’m sure they were served many wonderful desserts. I hope I haven’t changed it from the original. Can you imagine growing up in a house where something yummy was coming out of the oven probably every day. With 11 children, I’m sure she spent most of her time in the kitchen or doing laundry. And, I only had 3 and that seemed to be a lot of work at the time. I use to use can peaches for this pie. Can’t believe I would have done that but I did. I’ve made it also with fresh peaches; never tried strawberries but sounds wonderful. I’m using fresh mangos for this version since we get some beautiful ones here in Texas. You can try whatever fruit you want; it’s up to you. I think mixed berries would be yummy also. I seemed to be having a problem with my meringues on the day I made this pie. It was a rainy, stormy day (all day) and I made the pie twice and ended up using the first one that I didn’t think was high enough. But, by the time I added the fruit and a layer of whipped cream it was about a 4″ high pie. Also, if you don’t want to fool around with making a graham cracker crust, just buy one. I just wanted mine in a real pie plate. BLAST FROM THE PAST: This was My First Summer Galette and is a quick and easy dessert using all those fresh fruits you will find at the market. Three of this size mangos was plenty for the filling. If you use the smaller, Alphonso mangos you may need 5 or 6. 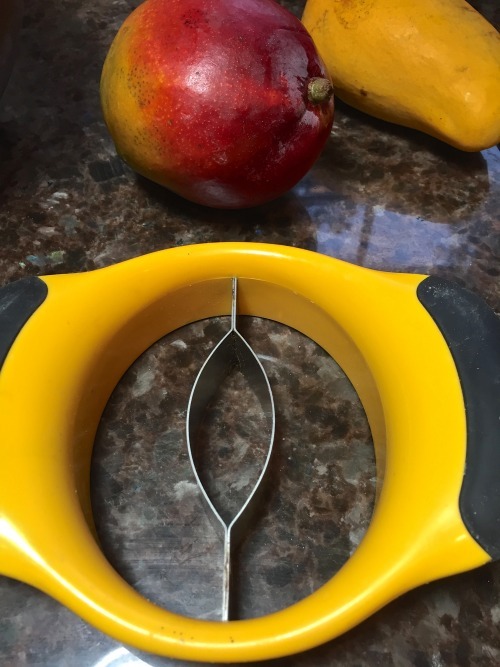 If you like mangos and you don’t have a mango pitter, you need one. See how easy this works. It takes the pit right out. 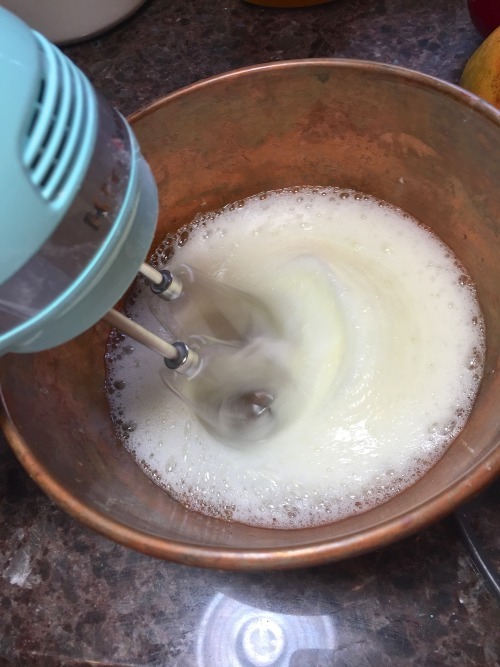 Beat your eggs white until they form stiff peaks then add in the vanilla and slowly add in the sugar. Pill your beaten egg white mixture into your baked homemade (or purchased) graham cracker crust. Mound slightly around the edges. Bake in oven per recipe directions then cool completely before adding fruit. 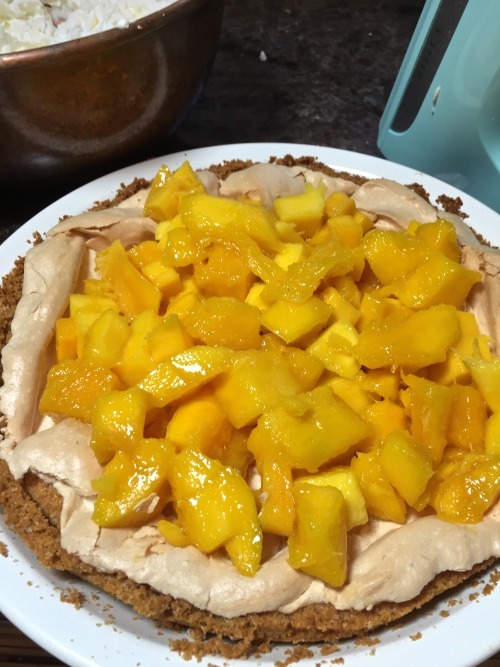 Top the baked meringue with your fresh mango or other fruits. 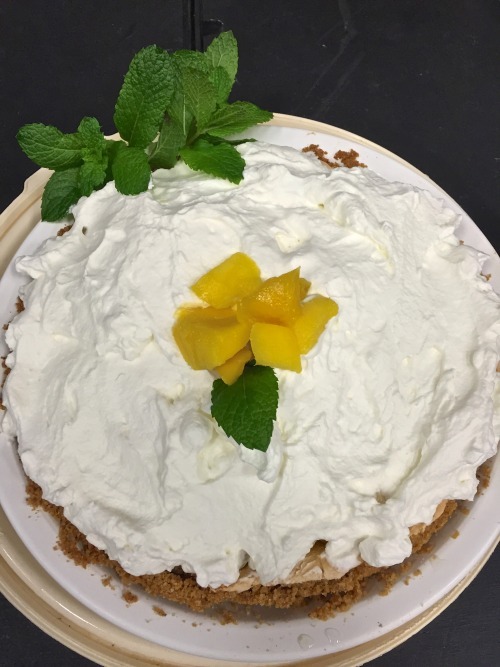 Top your cooled pie with sweetened whipped cream and garnish with some mint and fresh mango. 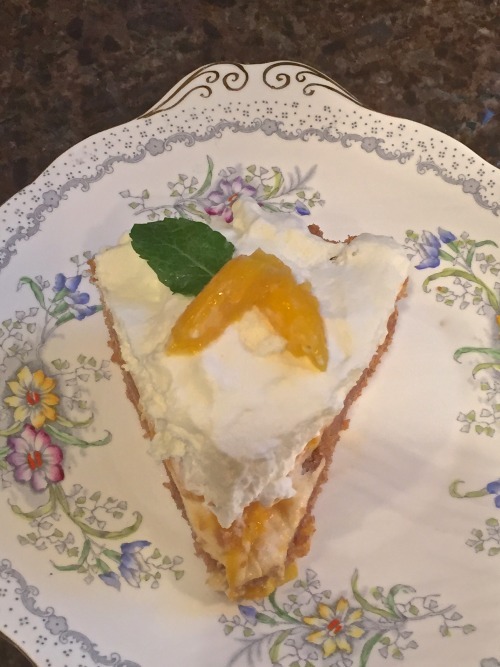 A delicious light and airy pie that can be made with mangos or fresh peaches. Make your graham cracker crust or purchase one ready made. Beat the egg whites, cream of tartar and salt until stiff, then slowly sprinkle in 1/2 c. white granulated sugar, beat in 1 teaspoon vanilla. Pour this mixture into the graham cracker crust, mounding up around the edges, leaving the center of pie a little lower. Bake 25-30 minutes at 350°. After 5 minutes of baking at 350°, turn the oven down to 300° for the remaining time. Remove from oven and cool. 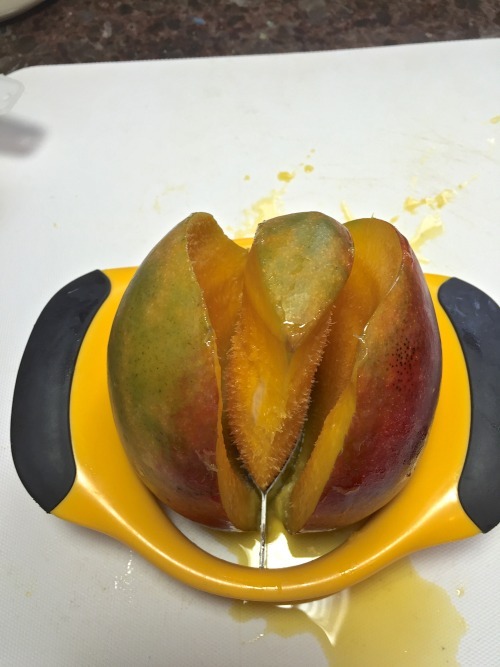 Place sliced mangos on top of the baked meringue. Mix the 2 tablespoons of powdered sugar with the whipping cream and whip until stiff peaks. Spread this over the top of the mangos. 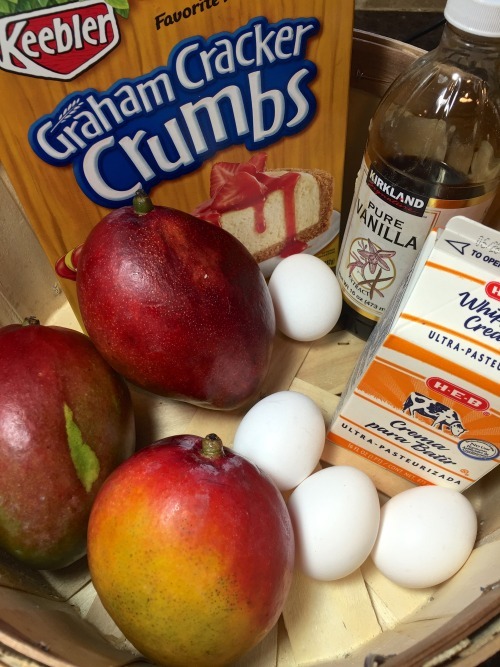 You can top the pie with additional pieces of mango in the center making a pinwheel design. 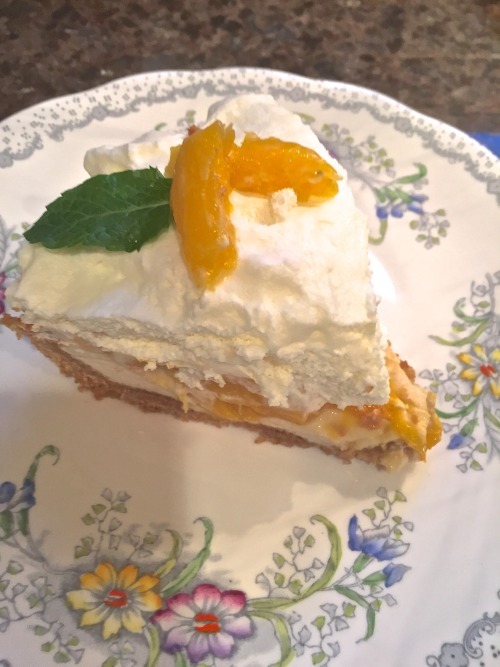 Originally when I made this pie, I used canned peaches. Fresh mangos are great but if you have a hard time getting nice ones, try some fresh peaches. I think fresh berries would also be a good substitute.